Con-Trol-Cure®, Inc. provides an entire line of solutions to determine critical information on UV Lamp conditions while the lamp is operating within the curing application. The LM9000™ UV LAMP MONITOR, the flagship of this technology, is a highly modular, computer-based, full spectrum UV data acquisition and management system providing both real-time display and data storage of UV Lamp output characteristics. Our exclusive Optical Probe and Fiber Optic sub-systems will allow permanent sensor placement inside the curing zone, reflector housing, or even directly on the lamp. 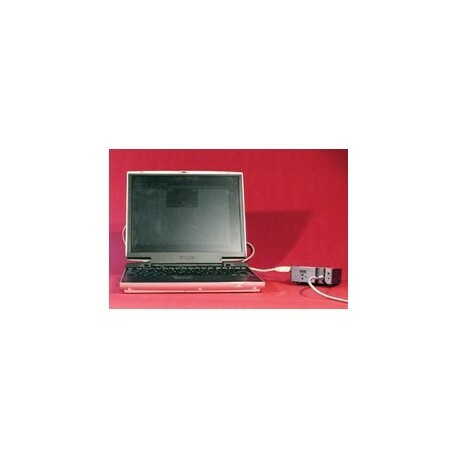 The Internal LM-9000 Instrument is a PC card (ISA or PCI Bus), mounted directly inside the PC. 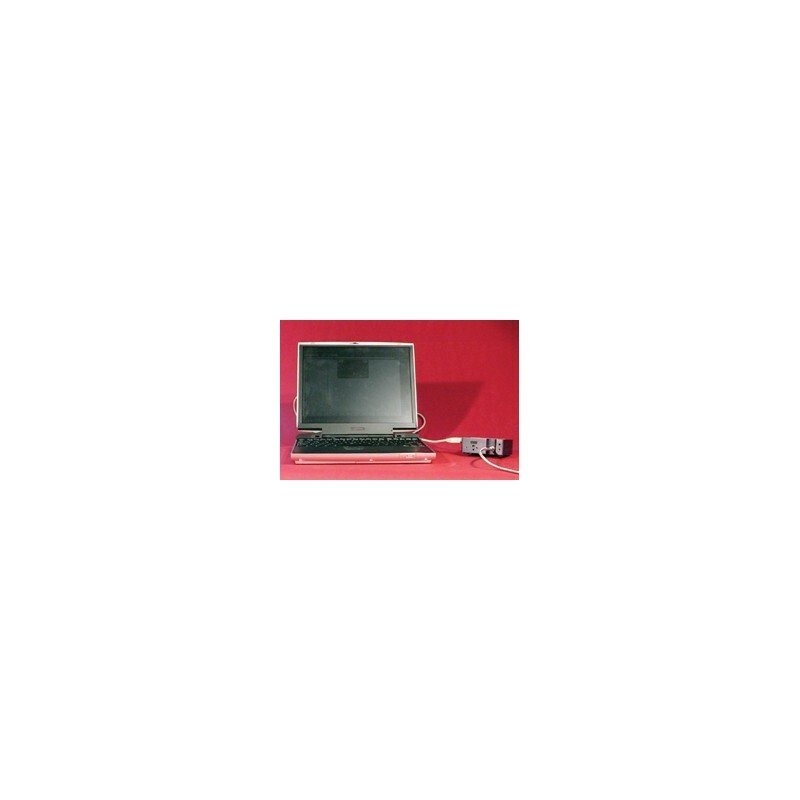 The External LM-9000 Instrument is housed in an impact resistant case that is connected to the PCs USB port. Both units allow direct connection of the UV enhanced Fiber Optic Cable to the PC, bringing the full spectrum of UV light (200nm to 450nm, other ranges available on special order) into the system. The incoming "Light Sample" is broken up into individual wavelengths and reflected onto a CCD array containing 2000 individual sensors. Data from each sensor (and wavelength) is then displayed by the computer and maintained in an MS-SQL DataBase. Multiple lamp configurations can be created by incorporating the additional card units and adding additional instrument units to the system. 2) The LM9000 Software is Windows compatible featuring real-time display of the wavelength intensity distribution between 200 and 450 nanometers sampled every 5 seconds, selective wavelength monitoring, and a saved baseline display. The LM-9000 captures all the performance characteristics of your UV Lamp output throughout the course of each job, not just when the operator pushes a button. The LM-9000 even saves information for later, so you can keep process and machine settings, job characteristics and system state information to help duplicate the exact conditions that job required. "Events" for selected wavelengths can be defined to alert operators to changes in lamp intensity. 3) The Basic Optical Probes are available as small as 1/4" (6 mm) diameter by 3/4" (19 mm) long, intrude only 3/8" (9.5 mm) into the curing system, and are easily installed inside the curing zone, anywhere around the lamp. Using a proprietary lens system that interface with the connecting Fiber Optic cabling, Basic Probes will withstand up to 752F (400C), and come in 4 levels of Optical Attenuation, designed to address very high UV light levels when used in High Energy (300+ watt) lamp systems. 4) The connecting Fiber Optic Cabling is designed for industrial applications, and is specially UV enhanced to transmit all the UV energy in the 200nm - 450nm range without loss of signal. Jacketed and encased within a flexible stainless steel covering, the Fiber is designed to function at up to 572F (300C) continuous operation and will not solarize over long term UV exposure. Cables feature easy installation on Industrial Processing equipment without fear of damage to the fiber. Cables are available in 6.6 ft (2 m), 33 ft (10 m) and in Custom lengths. Do you need mutliple lamp and multiple system monitoring capabilities? What about process control interfacing with the LM-9000 to make production line control a reality? Visible light and UV monitoring capacity is available, making control of other aspects of product creation possible. No Environmental Barriers To Probe Installation: Temp 452F (400C) Max.